A sneak peek at Dew Tour's modified Superpipe and the first half of the two-part slopestyle course. In a time when slopestyle runs regularly include triple corks and halfpipe runs showcase flawless consistency with technical leaps forward each season, it’s easy to feel like competitive skiing and snowboarding has become stale. Trick progression continues to increase incrementally each season with the plus-one formula—adding one more rotation or flip—while riders repeatedly compete on predictable courses and familiar formats. Slopestyle courses typically start off with a jib section at the top and the largest jump at the bottom with other jump and jib sections throughout. Over time, halfpipe has become known as Superpipe and become standardized with 22-foot tall walls and up to 600 feet in length. These courses have been the competitive ski and snowboard industry's bread and butter for decades, and the judging criteria has changed only marginally. But could the progression of contest courses and formats help push the sport to new and exciting levels? Danny Davis for example feels that competitive snowboarding could benefit from some deviation from the norm and less predictability. "Contests are something that are supposed to push the sport forward, progress the sport trick-wise and the industry, as well." says Davis, creative mastermind behind Peace Park." What can we do different? What can we do that is going to be different from the normal contest? What is going to progress snowboarding? To me, that is changing up the courses." Although technically not a competition, Peace Park—which features multiple halfpipes, transition zones, snake runs, and jibs mixed between jumps and transfers of all sizes—showed what mainstream competitions could adopt. It's not the only event to do so either. In 2014 and 2015, Red Bull's Double Pipe placed two halfpipes side-by-side with various jibs and gaps throughout to make for the ultimate Superpipe expression session. For some events flexibility in format seems to be an option. But, can marquee competitions for both the snowboard and skiing industries break away from the traditional mold? 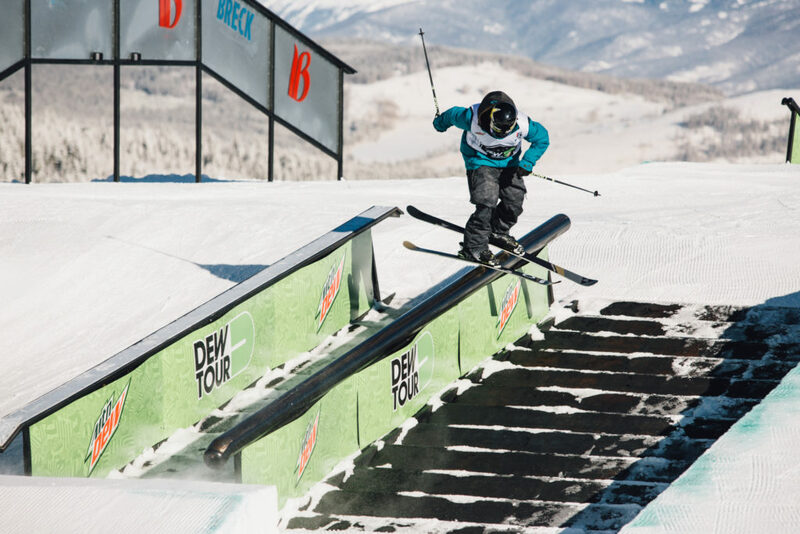 Kicking off the season December 8–11 in Breckenridge, Colorado, Dew Tour will be breaking out fresh formats and course designs in ways that begin to challenge the foundation of today's standardized competitions. What's more, Dew Tour will also be introducing a Team Challenge that aims to put six ski and snowboard hardgoods brands front and center. Team riders will take on one of the three distinct courses made up of the all new modified Superpipe as well as separate jump and jib courses. "A lot of events are getting pretty stagnant—two or three rails and maybe three or four jumps," admits Sochi Olympic ski slopestyle gold medalist, Joss Christensen. "Some years I have noticed I do the same tricks on every rail and jump. "It will be important for our sport to make creative courses that ensures you are never ready when you show up to events." Looking to the Dew Tour's new direction, Christensen is excited to test out the new slopestyle format that separates the jump and the jib sections into separate courses. Now, with riders allowed two complete jump runs before later executing two runs on the jib course to earn their total slopestyle scores, Christensen thinks it will only make new opportunities for crazier trick progression in both sections. Though with some mixed feelings, Mark McMorris echoed a similar sentiment when commenting from the snowboarding perspective. "I think format change is huge, but I think most important is course change," says McMorris. "They can get a lot more creative with the rail setups because you won’t have to plan coming out of rails with enough speed to make jumps." The halfpipe will have a fresh take to it, as well adding hips in and, what Davis would call, "jumps out." Instead of the bottom of the pipe simply getting smaller at the end, there will be a landing built onto each side to give riders a final hit where they can get creative to finish. Traditionally Dew Tour has been recognized as the marquee event starting each new season, evolving over time from a completely open qualifier event consisting of hundreds of athletes, to experimental events such as streetstyle, and even being recognized as an Olympic qualifier event. "If we are talking before the Olympics, Dew Tour was that contest that got [athletes] noticed," says Evan Heath, content director for Newschoolers.com. "It was more or less an open qualifier for new guys in the past, and a lot of guys came up going to Dew Tour. 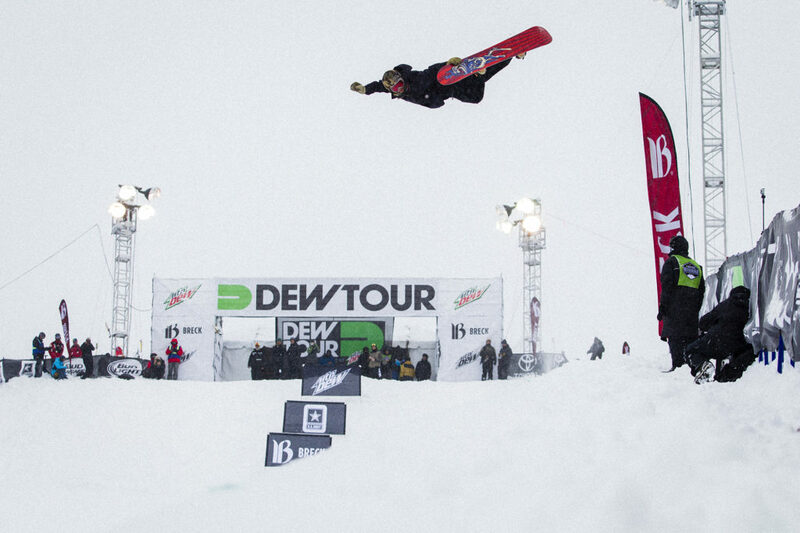 I think the changes that Dew Tour is making this year is a great first step in the direction of what they want to do. As time goes on I think more will change. More emphasis on the teams, more emphasis on changes to the pipe and rails. 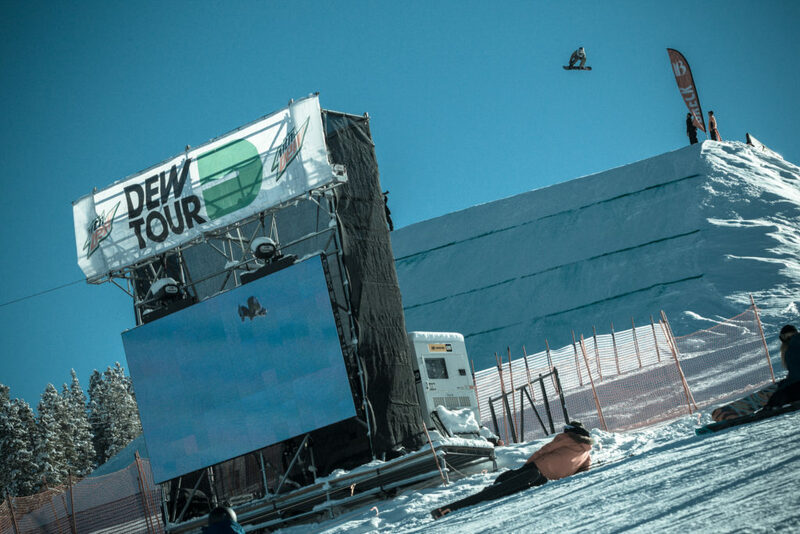 This will be just a taste of the changes to come for Dew Tour." The opportunity for more creativity alone has a lot of people excited for Dew Tour, but this is only the tip of the iceberg for potential change to come. Pat Bridges, creative director for Snowboarder Magazine has had a hand in shaping the reimagined Winter Dew Tour and is very excited about what's next. "Ultimately, this event could be a new page for snowboarding," he says. For Bridges, the opportunity to create a Team Challenge that will incorporate core snowboarding brands to give back to the industry is an especially important aspect. "The brands are the backbones of snowboarding culture," he adds. "They provide resources for riders, media and shops. They enable us to do what we do, so we are trying to look at them as the snowboarding family that they are and say this [contest] is as much yours as ours. We are putting these brands front and center." Still, Bridges was clear on a number of other critical points including the openness to revisit all aspects of the individual modified Superpipe and slopestyle competitions. Promising this year's event is only just the beginning, Bridges says if goes well we will see more changes in future. Although Davis admits he cannot take any credit and has only recently been looped into the new concepts set to unfold at this year's event, he is "very, very proud of the Dew Tour and the people who are heading it up. It is not easy to change up a contest… They were an Olympic qualifier, so for them to be changing up their course is a big step in the right direction to me."